Farewell to 2015, it was a good year by any measure (even with the stock market sideways move year-over-year), and left us with a promise of continued improvement within the breadth of our societal economic and quality-of-life measurements, so long as we don’t find ourselves in an economic bubble (in some sector) during 2016. So with a “steady-as-she-goes” perspective, it’s time to think about how we can improve and insure our quality-of-life continues on this positive trajectory. This brings me to the obvious decision of making 2016 the year of putting in your very own in-home custom wine cellar. The benefits of putting in a built-in custom wine cellar adds so much to ones’ quality of life and to the overall value of their home. Finding the right place to put your new wine cellar is a task sometimes best left to Premier Cru Wine Cellars, (serving primarily Los Angeles County), simply because, with our deep level of over 70 years combined construction-industry experience, quite-often we can see opportunities within a structure that are not so obvious, even to those who live in the home. An occurrence that happens every-now-and-then. First, the shear luxury of having your wine collection close-at-hand cannot be understated. The time, the many-upon-many hours of not having to drive to a wine storage facility in-of-itself is invaluable; remember, YOUR TIME IS VALUABLE and you ought not be driving back-n-forth to bring-in and take-out your fine wine from a dingy, dirty, establishment we know as wine storage facilities, with only a few exceptions; one notable exception is Jeff Smith of the famed Carte du Vin and author of The Best Cellar, located at 7641 Burnet Avenue, Suite B, Van Nuys, CA 91405. info@carteduvin.com (818) 787-1282; twitter @carte_du_vin Jeff runs a tight ship and has a first rate establishment. 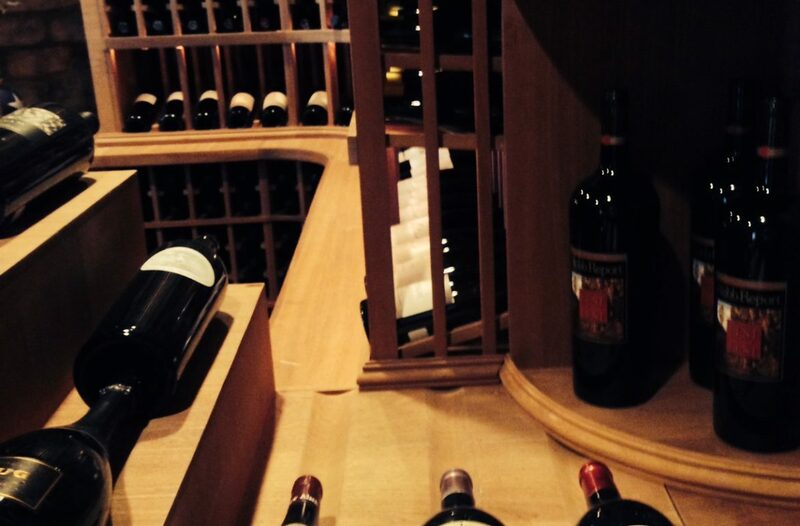 Second, once your new custom wine cellar is built and ready for use, you’ll open up a whole new world of wine collecting opportunities because the logistical advantage allows you to realize a wine collecting experience that is more in-line with what you had in mind when you started collecting wine in the first place. The ease of deciding what to acquire, how and where you’ll store it, has enhanced your experience 10-fold – there is more continuity to acquisition and collecting flow. And that flow leads right into your in-home wine cellar! Third, having a custom wine cellar designed and built by Premier Cru Wine Cellars provides you with the benefit of having the Provenance of your fine wine in the safety of your home and well insight of your day-to-day living. Premier Cru Wine Cellars is known for their proprietary climate control process; with clients enjoying First Class Provenance of their wine cellars during extreme heat conditions. Fourth, the artistic and aesthetic design of a Premier Cru Wine Cellars – pushing envelopes in design – brings a level of joy that is akin to walking through an art gallery; simply put, their stunning. Fifth, in most cases, the value of your home will increase with all of the above benefits and investment equal to or greater than the amount spent. One should expect to budget $30,000 on up depending on the footprint size of the wine cellar, the location within your existing home, or if a new structure is added on. As a General Contracting design/build firm, Premier Cru Wine Cellars can handle every step of this process; from soup-to-nuts, from design to completion – they do it all! To inquire about your very own custom designed and built fine-wine cellar, just send off a quick email with your info to sales@pcwinecellars.com or enter your contact information, under the CONTACT INFO heading, at the bottom of this page and click-to-send.